I’ve been excited about the Olympics coming to London since I leapt up and down in a car park in Milton Keynes with a colleague of mine over 6 years ago. I confess we absconded from a meeting to listen for the result on my car radio. It was worth the delays and fumbling with the envelope to know that the world’s greatest sporting festival was going to be on home turf. 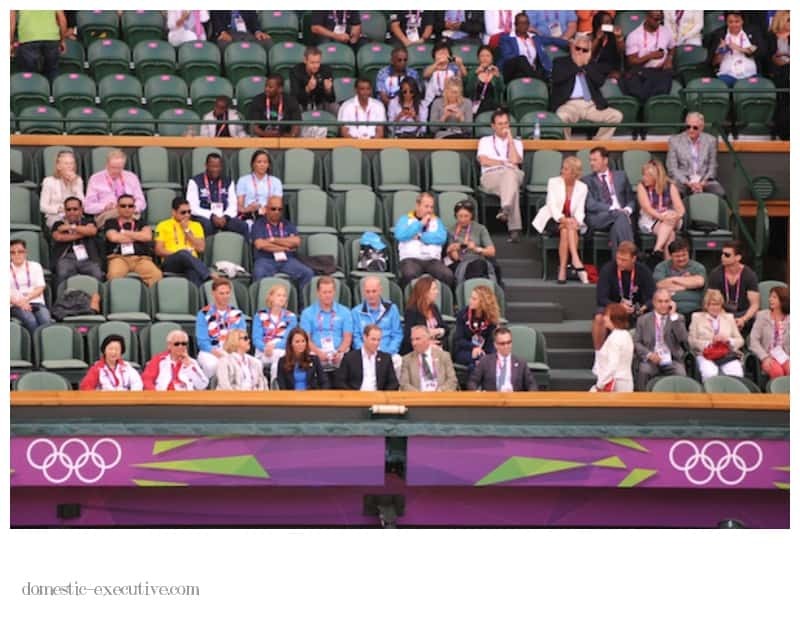 Having emigrated to New Zealand since then my resolve to return to London for the games has never weakened although it was a tortuous wait to find out if we had been allocated any tickets in the byzantine system operated by the Games organisers. 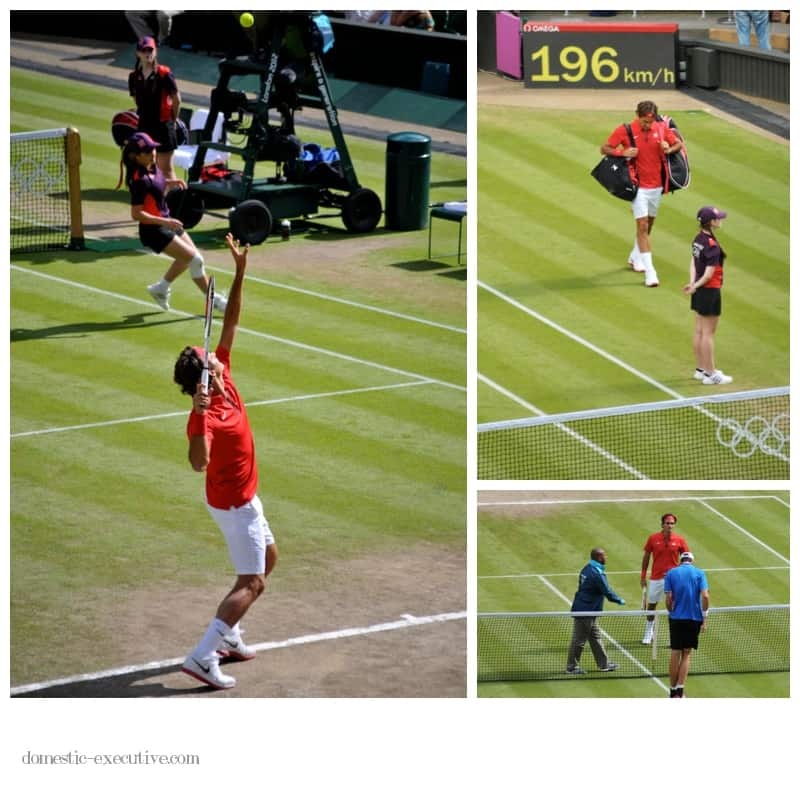 A few days ago I was lucky enough to enjoy being an Olympic spectator to witness to some of the worlds finest tennis players at the true home of Lawn Tennis, Wimbledon. At last I could embrace the Olympics fever that has spread across the UK. The whole experience was superb. From opening the envelope that contained our prized tickets to the volunteers who are the true heroes of the London 2012 Olympics. Everywhere in London there is a dose of goodwill and friendliness that has transformed the Capital into a really pleasant place to be. And long may it continue. I’ve always been a big Olympics fan and this games is bringing the best of British to the fore. Not only is Team GB scooping medals at a rate not seen in over a century but it’s showcasing the best of British hospitality and the capability of this sport loving nation to embrace all comers, especially the underdogs. I’ve felt truly proud to be British. That said, I’ve had moments of divided loyalty. Seeing the kiwis in action has sparked pangs of homesickness but as luck would have it the kiwis and Brits have been sharing the glory making it so much easier to support both teams. There are a few more days left for us to gorge on sport and then we’ll join the hoards of Olympians and visitors at Heathrow on the first leg of our journey back to New Zealand. 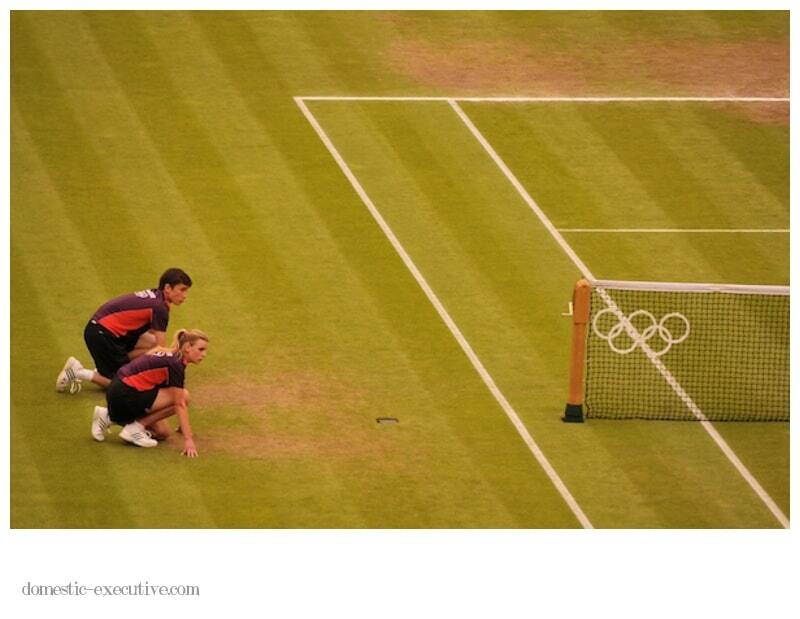 Let’s hope that the Heathrow security have learned a few lessons from the Olympic organisers. The tennis itself is something I loved to watch even though I left my tennis prime in the era of Bjorn Borg and Billy Jean King. For me tennis started to go down hill when I had to give up my wooden tennis racket which I lovingly kept in a screw down tennis racket press so something a little more synthetic. 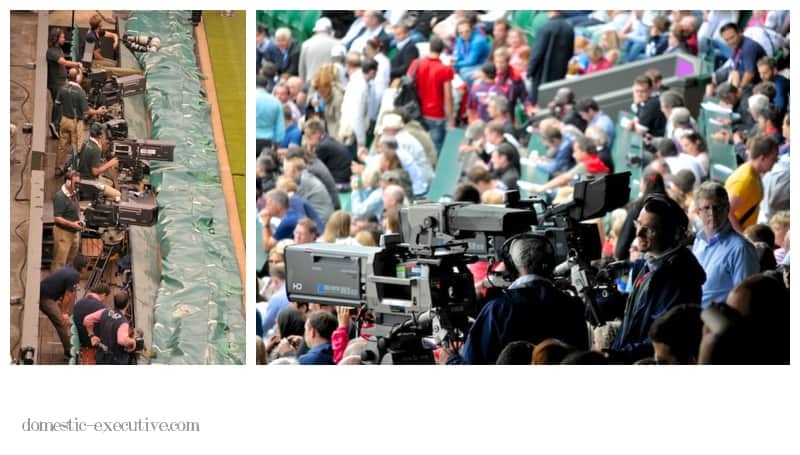 Watching tennis live is so much more exciting than watching on the TV. You get a much better sense of the athleticism of the players and the power with which they propel the ball and themselves across the court. 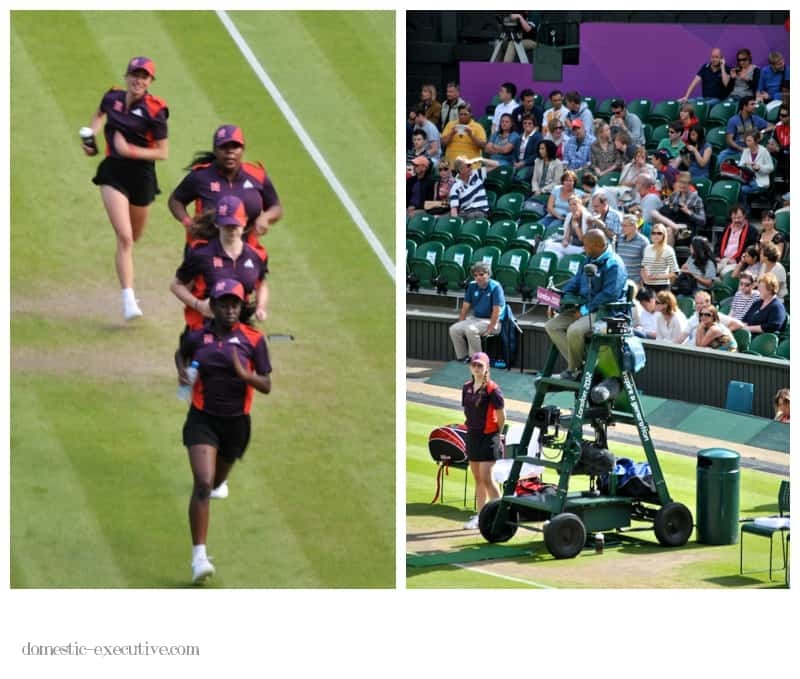 Aside from the tennis to watch there is a plethora of other distractions to keep you amused, such as the drilled routines of the ball boys and girls, the concentration of the line judges and the performance of the umpires as they call the scores. 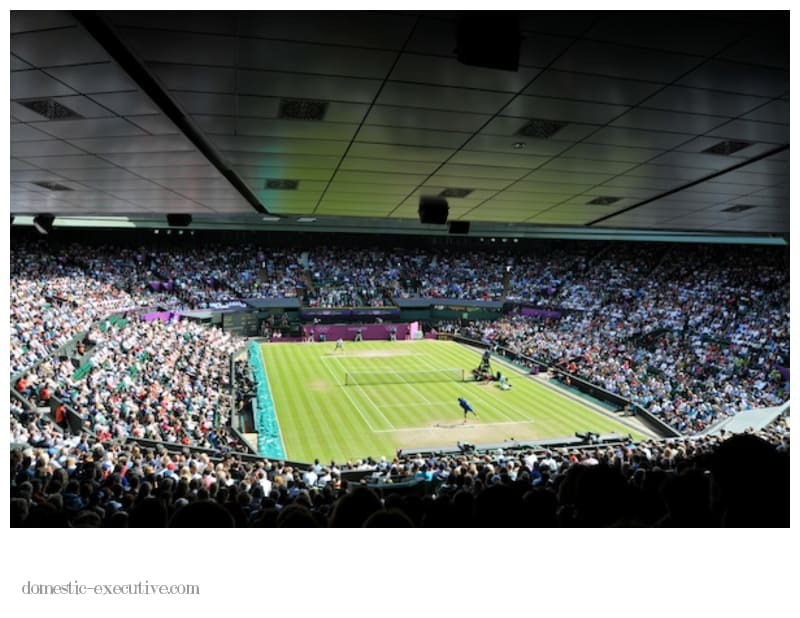 We were lucky enough to witness some of the world’s greatest tennis players in the quarter final matches that included Azarenka V Kerber; Djokovich V Tsonga; Federer V Isner and Clijsters V Sharapova. 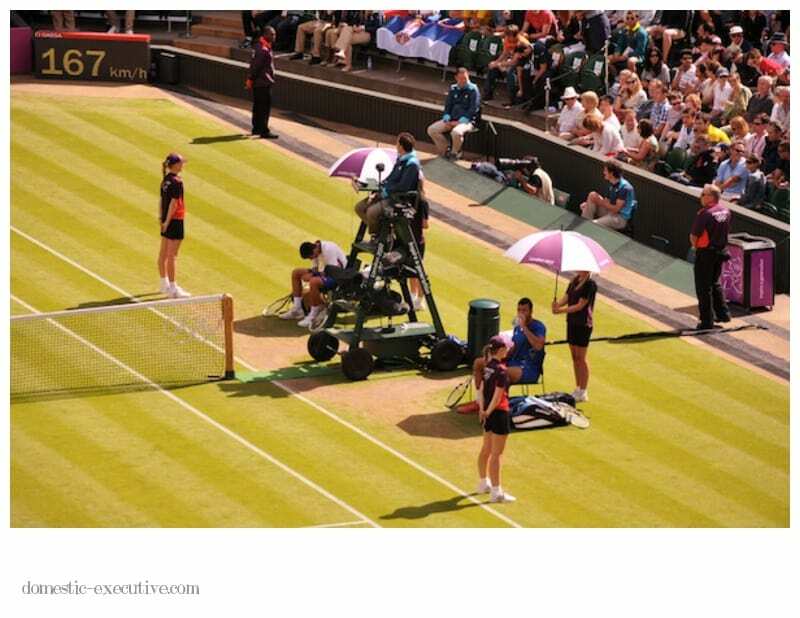 Although sitting up high in Wimbledon’s Centre Court we were entertained with a fantastic view of all the play and a perfect view for the Royal Box. The whole Olympics so far has been wonderful. The slightly madcap opening ceremony set the tone for what has been a dream come true not just for the athletes but for all those Brits who celebrated all those years ago that London had been picked as the venue for 2012.